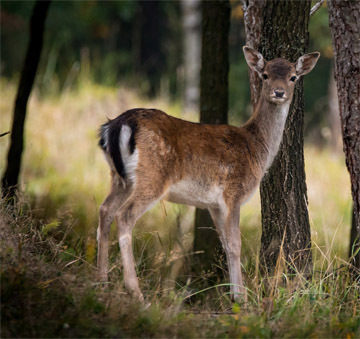 Gardening Tips for Small Spaces: Are the Deer Eating Your Plants? Are the Deer Eating Your Plants? January is when we start seeing deer boldly munching on everything in sight -especially if it snows. Thank God it has been an exceptionally warm winter here in Tennessee...so far. I will be amazed if it stays this way for very long. I don't have near the issues with deer that I had when I first lived here. I was traveling a lot with my job back then and I would come home to find my Hostas eaten to the ground! I put up a chain link fence around the back yard and a privacy fence on the front side with gates at the front of the house. The deer still graze occasionally in the front yard but I planted Deer Resistant plants out there. If all that fails, get a big dog! JoJo won't let a deer near our yard! He is watching out the front window on one of the rare days that he is let into the house. JoJo has claimed the loveseat as his!